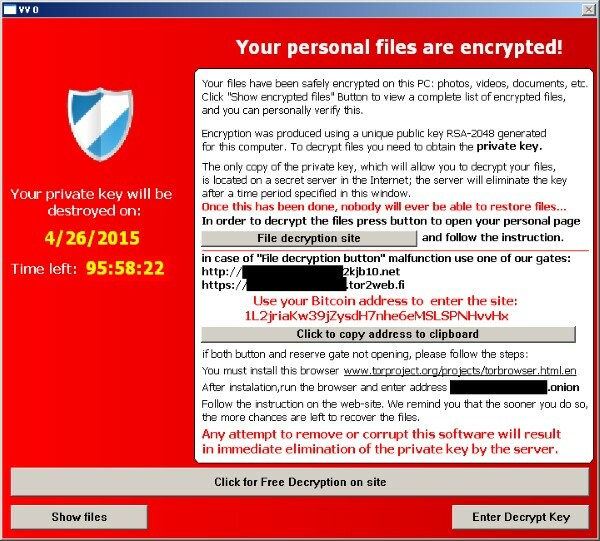 Win32/Filecoder.TeslaCrypt is a trojan that encrypts files on local drives. To decrypt files, the user is asked to send information/certain amount of money via the Bitcoin payment service. Download the ESETTeslaCryptDecryptor.exe tool and save the file to your Desktop. Click Start → All Programs → Accessories, right-click Command prompt and then select Run as administrator from the context menu. Windows 8 / 8.1 / 10 users: press the Windows key + Q to search for applications, typeCommand prompt into the Search field, right-click Command prompt and then select Run as administrator from the context menu. Type the command cd %userprofile%\Desktop (do not replace "userprofile" with your username–type the command exactly as shown) and then press Enter. Type the command ESETTeslaCryptDecryptor.exe and press Enter. Read and agree to the end-user license agreement. Type ESETTeslaCryptDecryptor.exe C: and press Enter to scan the C drive. 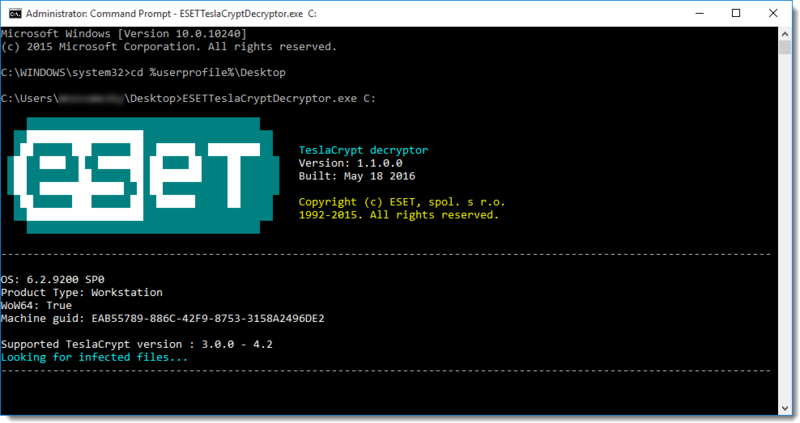 Files encryped by TeslaCrypt V.3 and V.4 will automatically be decrypted. To scan a different drive replace C: with the appropriate drive letter. The TeslaCrypt cleaner tool will run and the message "Looking for infected files..." will be displayed. If an infection is discovered, follow the prompts from the TeslaCrypt cleaner to clean your system.